In just a few days thousands of Star Wars fans will descend on the Orange County Convention Centre, ready to spend four days sharing and celebrating Star Wars. In addition to being my second Star Wars Celebration this will be my second time cosplaying. Ever. It’s true! Despite being fully immersed in costume both professionally and personally for over a decade, cosplay and fan costuming is something that I have mostly observed from afar. There has been fancy dress – you should’ve seen my Bellatrix Lestrange! A rushed closet cosplay – Ramona Flowers of Scott Pilgrim because I had blue hair and the final volume had just been released. And… that was it. 2016’s Star Wars Celebration was the first time that I consciously decided to turn my hand to cosplay with a Rebels Ahsoka. I messed it up. I spent weeks carefully working on the headpiece bit by by bit, but still forgot to make her crown until I had arrived at the hotel and had to rustle something together out of cardboard and superglue. (But still got the thumbs up from Dave Filoni himself!) The costume itself was made in maybe two days, and it showed, so I spent the first day as a ‘casual’ Ahsoka and the second in full costume. Last year’s ‘Ahsoka Lives’ event on The Star Wars Show Live at SWCE. I was the Casual Ahsoka next to Ashley Eckstein. The state of my costume as I saw it, however, ultimately didn’t matter. Not when I was walking on the floor talking to other cosplayers and fans, cooing over another Ahsoka’s armour, or whenever a small child would stop and stare and ask for a photo. Those are the moments that add up; those moments where you you place your love of a character and a story literally on your sleeve and share it with hundreds and thousands of others. That instant bond of a shared passion that is at the heart of Star Wars fan culture, and what Celebration is built on. It was intoxicating and overwhelming. Star Wars cosplay is almost as old as the forty year old franchise itself, as documented on Growing up Star Wars on flickr, collecting together fan and costume photos from the 1970’s and ’80’s. Despite George Lucas’ mandate that the costumes of the original film should be ‘invisible’, disappearing into the background to allow the story and action to speak, they immediately caught the eye and passion of fans of all ages and were replicated again and again. L: ‘Growing up Star Wars‘ – Star Wars cosplay from the late 1970’s. R: ‘Cantina Workshop – a costume zine’, edited by Jean Danielsen a fanzine started in 1980 that focused on tips, techniques and process. The reason that cosplay has become such an integral part of fan culture, and was so immediately seized on by those first Star Wars fans in 1977, is because of the characters. Costuming is neither cheap nor easy; it requires materials, basic skills and time. It is a labour of love. 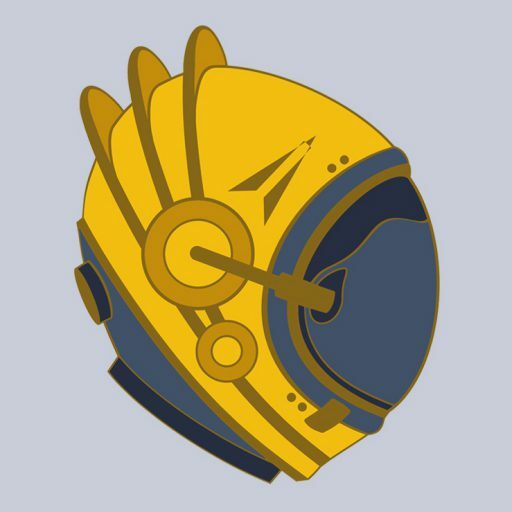 A love for the characters, their stories and journeys. The costumes of Star Wars, despite their ‘invisible’ simplicity, explicitly served the story and expressed the characters in the most direct and easy to understand lines: Princess Leia, regal, elegant and good in draped white; Darth Vader imposing, intimidating and evil in structured black. The original film dealt directly with archetypes, the familiar and in many respects near-historical. As Trisha Biggar said, ‘George [Lucas] has long asserted that the Star Wars movies are not futuristic – that they are period pictures, drawn from the past, ‘a long time ago in a galaxy far, far away….’ A modern mythology right down to the clothes on the characters’ backs. However, now that the franchise spans eight films, two animated television shows and a plethora of companion comics, novels and games, the ‘Star Wars’ aesthetic has been translated again and again, but always remained recognisable in its archetypes. An identifiable ‘Star Wars’ fashion culture that makes sense both internally but also externally. An element that can be translated from ‘real’ live action costume to animation and back again whilst maintaining the familiar essence of character and style and supporting the larger overarching narrative. Then, in turn, be adopted and explored by fans. From the days before internet where promo images, merchandising and as many trips to the cinema as possible to note down details, fan costuming has now become a huge industry in itself. 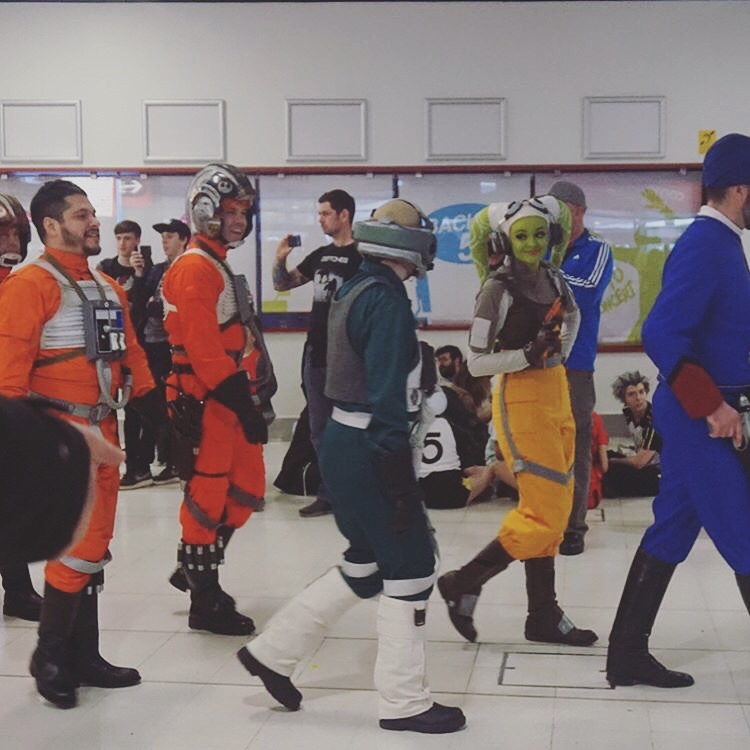 Specific to Star Wars itself are costuming groups like the Rebel Legion, 501st Legion and Mandalorian Mercs, who combine that passion with painstaking attention to detail and charitable fundraising. You can’t hit any convention floor without seeing any number of stormtroopers, Princess Leias, and innumerable mash-ups and variations. It’s an inescapable and wonderful part of fan life. Choosing to cosplay a character gives opportunity to step into their shoes. To explore exactly why they mean so much to you. To express that part of them that speaks the most to you or reflects on your life. Or sometimes a character is just cool, looks great or you want to be part of something larger – a larger story, a larger community. For the non-costumed crowd, seeing your favourite characters brought to life and in the flesh is a thrill, bringing you one step closer to your favourite story. 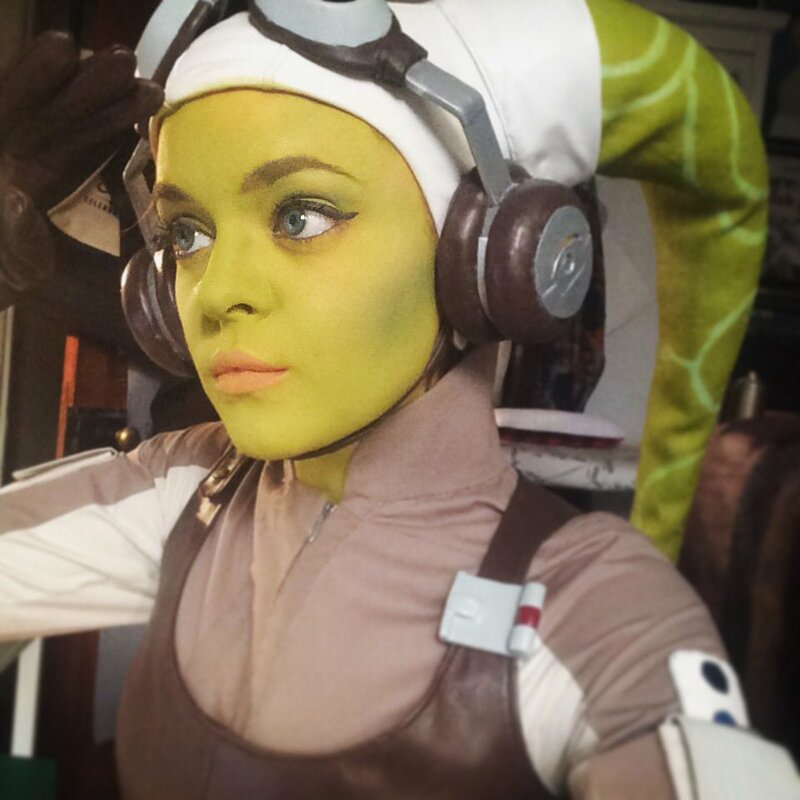 This year at Star Wars Celebration I will be sharing my love of Hera Syndulla of Star Wars Rebels, the best damn pilot in the galaxy. Unlike my last, this costume was made with care and time, and has already been for a testdrive with the Rebel Legion Elstree Base so I am anticipating fewer disasters! Hera is a character that is very close to my heart, and i see a lot of myself in her – the good and the bad. The last year has been a big one for Hera, with the ever growing Rebellion and her role in it in Rebels, her shoutout as general in Rogue One and, most recently, the reveal that she will be appearing on Lego: The Freemaker Adventures. Her story is growing and unfolding, and I hope to grow alongside her.